Primetime is set to organise the maiden edition of the NSMQ Sci-Tech Fair on June 27 & 28 at the University of Ghana, Legon as part of the 2017 edition of the National Science & Maths Quiz. The organisation, which is the brain behind the National Science & Maths Quiz, believes that this Fair will afford Senior High School students the opportunity to demonstrate that they are not only knowledgeable in answering questions on stage but can put into practice some of the concepts they study in school in solving problems. 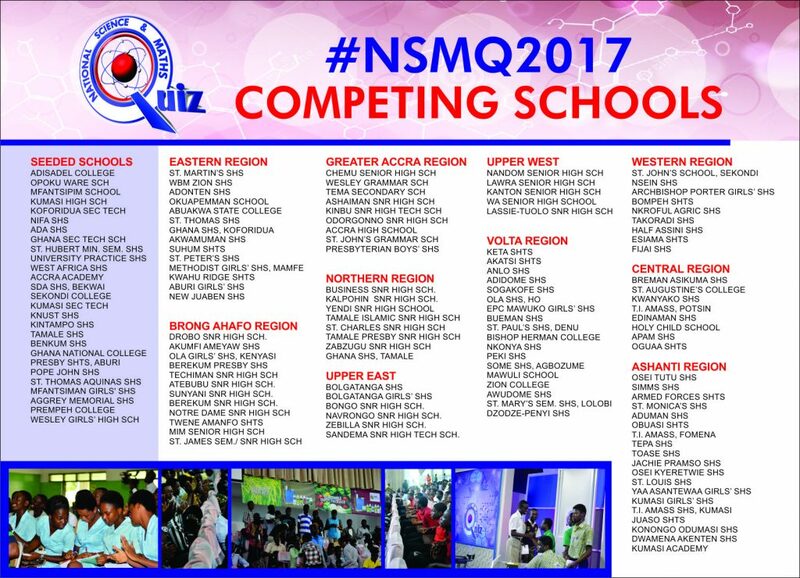 The NSMQ Sci-Tech Fair 2017, which is expected to see over 20 Senior High Schools displaying some of their science projects, would also have exhibitions by some Universities, Start-ups within the science and technology space and Basic Schools. Primetime believes that the introduction of the NSMQ Sci-Tech Fair this year as part of the National Science & Maths Quiz, signals a move towards making the National Science & Maths Quiz much more than just a quiz competition. The organization plans to broaden the scope of the Quiz into a Science & Maths Festival that students and teachers would look forward to each academic year.